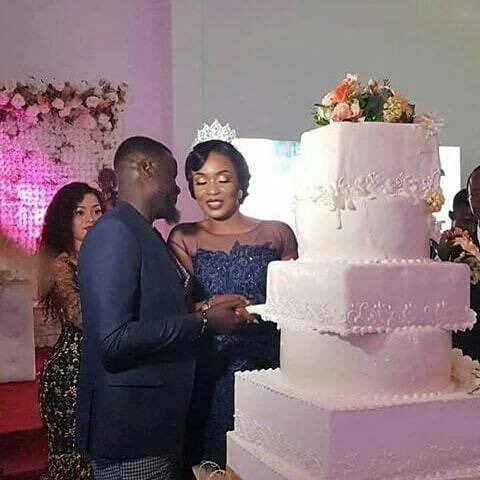 Former Arsenal defender Emmanuel Eboué has remarried his longtime fiancée in a discreet ceremony held in Abidjan, Cote d’Ivoire’s economic capital, on Saturday. The former Ivorian International has turned his life around after battling with his ex-wife Aurelie Bertrand in divorce proceedings which saw him lose his properties and investments, and also the custody of their three children. According to mondialsport, Eboué’s new wife, Stephanie Boedé had been with him while at ASEC Mimosas before he moved to Europe, and that the wedding was held discreetly because he now wants a quiet life after all he has been through. Eboué made a total of 465 appearances for club and country, scoring 22 goals including 33 assists. He was offered a coaching role at Galatasaray when news the news broke that he was broke and had contemplated suicide.